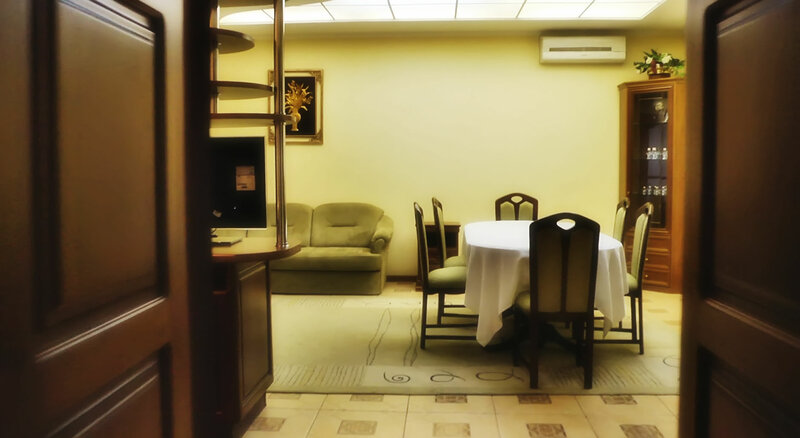 Apartments - Hotel Complex "Druzhba"
Apartment "Presidential" of Hotel "Druzhba" is a modern, elegant room with an area of ​​60 mм2, bathroom - 4 m2 (telephone, bath, shower, sauna, bidet, hair dryer, mini perfumes, bath robes, slippers). 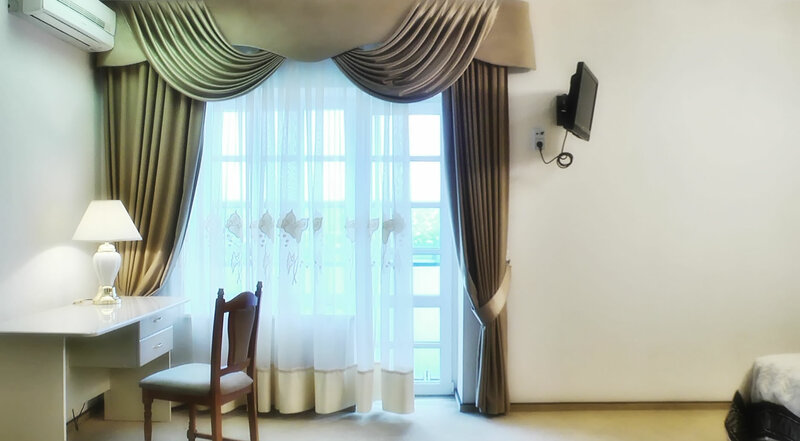 "Presidential" apartments will undoubtedly satisfy you. There is everything that will allow you to feel yourself at the highest level. Spacious and comfortable, magnificent and cozy, they have exclusive design. 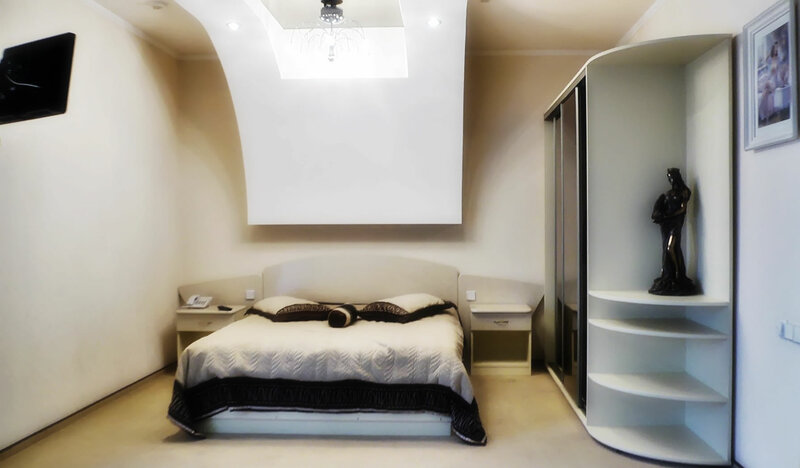 The wide and very convenient bed, the TV, modern design of a room will not leave you indifferent. 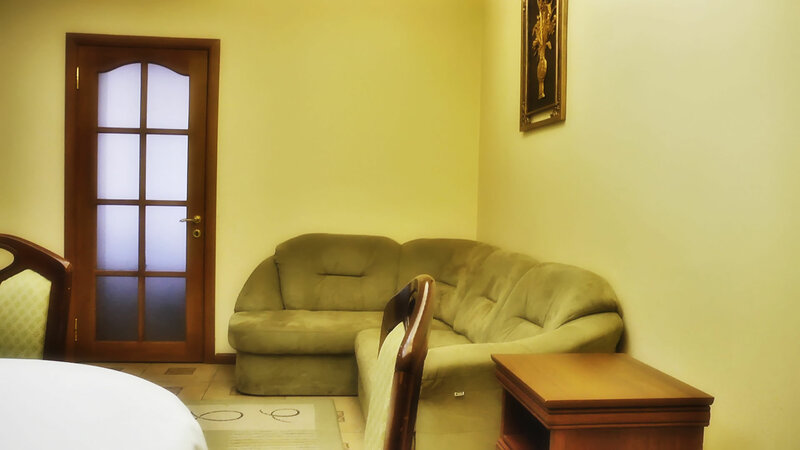 Living room with beautiful and comfortable furniture is perfectly for combination of cozy rest and work. The spacious bathroom is equipped with phone, a mini-sauna, a bathroom such as a jacuzzi. High-grade rest for VIP-persons.